So why are you marketing without a plan for growth? Master plans build profitable relationships with your preferred customers. Abraham Lincoln famously said: "Give me 6 hours to chop down a tree and I will spend the first 4 sharpening the axe." This is super smart, right? A razor sharp axe will chop down a tree a lot easier than a dull axe. The concept of slowing down to speed up is presented here, but what Abraham Lincoln fails to mention is what if you don't know which tree to chop down? How do you choose the tree? How does chopping down the tree fit into the master plan? Many companies spend their days sharpening axes and chopping down trees. But at the end of year they can't tell if it's been a success or not. Why? Because the wood chopping had no correlation to a master marketing plan. You wouldn't launch a new product or invest in the expansion of your company without understanding the long-term value these investments will have on your business. The greatest advertising or promotional tactics will always fall flat without proper targeting. Without marketing, your company will not scale or thrive. But marketing costs money and time, so it's critical that you see a return on this investment. The Diamond Group's Momentum™ system will get you laser focused on your targets and how to reach them. This master plan, a comprehensive blueprint that becomes your roadmap for success, will lower the risk and enhance the returns of your marketing. With our Momentum™ system, you'll receive the master sales and marketing plan you need to grow your business. Diamond Group clients partner with us long-term through a custom made inbound marketing retainer. Through this long-term relationship we help clients create a profitable relationship with their best prospects on a recurring basis. For many clients, they have not done the upfront work that is needed to operate such a strategic plan. For others, committing to a long-term relationship right out of the gate is a bit too much too soon. Developing a comprehensive and personalized blueprint is a 5-step process designed to get your marketing in alignment and to begin a journey of increased revenues and customer retention. The early steps in the process involve us getting to know you, your company and your ideal customers. In the final steps we'll transfer all of this knowledge into a strategic, actionable, full-funnel marketing plan with a corresponding proposed budget for execution that is tweaked through collaboration until we have a combined playbook to execute from. We consider this Phase 1 plan development and auditing stage foundational to the execution work ahead, whether you partner with our group for execution or decide to bring some of it in-house. We audit and review your current brand, website, and marketing efforts. We look at the goals of your business. We look at your promotion and advertising channels. We look at your content offerings. We look at the results and find out how well these assets are performing. We conduct interviews and work with your team to identify the mission statement, positioning statement and core values of your company. Fully defining these brand pillars will ensure that when we get into creative our messaging is on point. We identify the demographic and behavioral traits of your ideal customer. How old are they? What do they do? Where do they live? Identifying your primary personas will help us speak to them directly at every stage in the buyer's journey. We create the outline of the master plan. This framework outline will create the engine that attracts new leads, nurtures them, and converts those leads into customers. We share this plan with you alongside an execution budgetary suggestion. We round out the details of our master marketing plan and blueprint. This will be the roadmap that we use for execution. We will show you the brand refresh suggestions (if appropriate), premium content offers we recommend producing, specific blog articles we recommend, email nurturing campaigns and much more. All of this information will be presented to you during our final presentation along with the reasons why these were our recommendations. We will review our findings from the early stages and tie it all back in to the Momentum™ Blueprint. The master plan process takes 42 days to complete. A lot of work happens in these 42 days and most of it is handled by The Diamond Group. There are some time commitments we will need from you and relevant stakeholders. There are three formal meetings: One is a kickoff meeting where we get everyone on the same page, one is a discovery meeting where we work on the brand positioning, messaging, and core values and the final meeting is the presentation. All of these dates will be secured at the kickoff meeting. In some cases where travel is involved, we can combine and customize these meetings to fit the needs of your team. Phone conversations and email will be necessary as we work through the data and the plan. It sounds relatively simple, but these 42 days can absolutely change the course of your business. We offer the Momentum™ system and Blueprint Development as a fixed-price service. We won't surprise you with anything extra, and there is no long-term commitment and no obligations for you to do anything else. Even though there is no obligation to continue, many clients choose to do exactly that. Clients fall in love with our blueprint and they need help executing on it. When you partner with The Diamond Group to execute on the plan, you guarantee that the work will get done on time, at the highest quality and with accountability baked in. 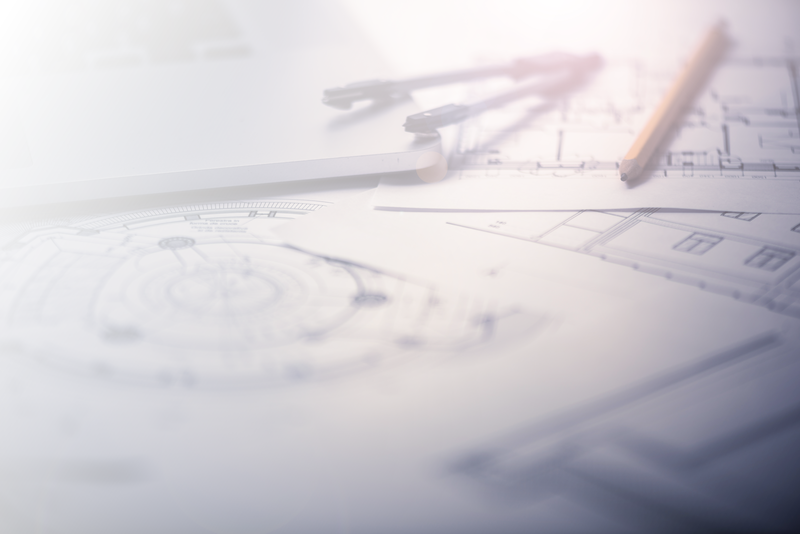 Is a marketing blueprint right for you? Modern marketing is complicated and fraught with pitfalls. It takes knowledge, experience and passion to achieve the best results. If you are talking with another agency that wants to work without a master plan, we suggest you run (not walk). Too many businesses get burnt out and spent out by a scattershot approach to projects and marketing tactics. We understand it is a complicated digital age and marketing has become a jigsaw puzzle that at its best is a challenge. At the The Diamond Group, we love to simplify, streamline, and scale....in other words, we love to chop wood. Especially when we're clearing a path as part of a master plan. If this is you, let's connect! experiences for every visitor with the HubSpot CMS.